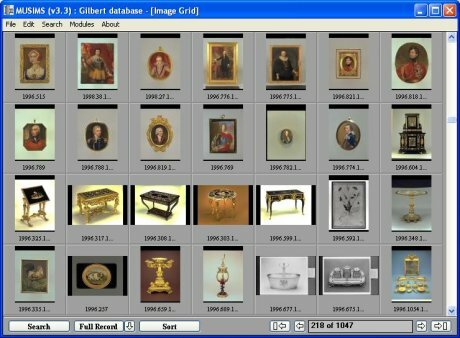 The Gilbert Collection at Somerset House used our MUSIMS collections management software to manage its spectacular collections of decorative and applied arts. Browsing terminals allowed researchers to access the collection via the intranet and a public access interface was planned. The system was specially configured to assist with the transfer of objects to Somerset House before the museum opened. In January 2008 the display closed and will re-open in a suite of galleries at the V&A Museum in 2009.